At The Arthur J, beef is our passion. When you combine our ability to source the best beef in the world, cooking with an incredible natural wood fire grill, and friendly thoughtful service, an incredible quality steak is born. This is why we offer the best USDA Prime, True Japanese Wagyu, and Black Angus Beef. Unlike most pedestrian steak houses, Each one of our Steaks is cooked skillfully by our Grill Master over a stoked live fire with smoking white oak embers. Our steaks are available both wet-and dry-aged and well as Bone-in, grilled to perfection our magnificent J&R Woodfire Grill. Too Loud for me but a nice restaurant. Wine selection extremely pricey. Of course, as more patrons arrived the space became noisy. The dinner and service were GREAT as always- we so love coming there but be prepared it is an expensive meal. Sister Inn Law in for a visit from Oklahoma. Wanted her to get a taste of Manhattan Beach and the restaurants we have to chose from. The atmosphere was superb! Our server was the best. He walked us through all the menu options and specialties. The drinks from the bar were great. The sommelier was really knowledgeable regarding the wine we selected for dinner. I was extremely please with our service, ambiance, drinks,wine and food. The steaks were so tender. I plan on coming back. 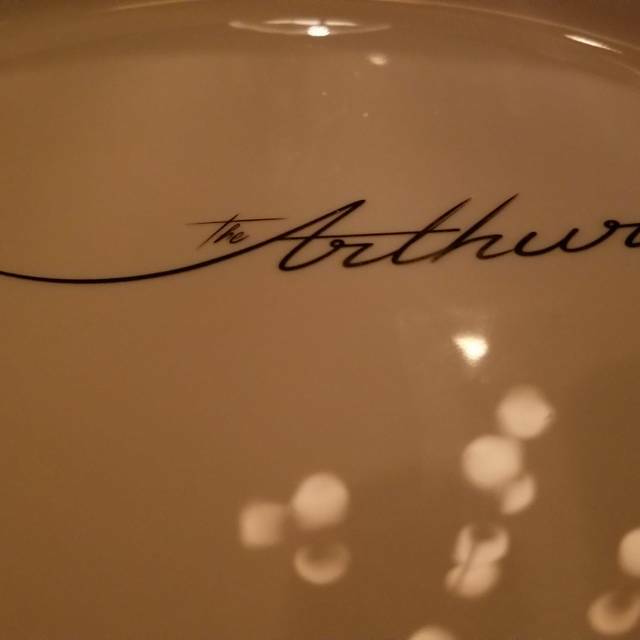 Arthur J is now one of my favorite places to dine. Fantastic meal every time we go there!!! Server guided us beautifully through the dishes. Food was really great and the service top notch. They really went above and beyond. Everything/everyone was amazing from the time we walked in the door. Service was impeccable; food was perfect. It was our first time to this restaurant- not really sure why we never went as we live in the neighborhood and have been to all the MB eateries. They welcomed us with open arms, truly made us feel like valued guests. We will be back for sure. We had a great birthday dinner here! Thank you AJ staff for making it so special and fun! parking is a problem, the noise level is highboy the food was mostly good and the service was friendly and efficient. I take my son here every year to celebrate his birthday (4th year). The steaks are the very best!!!! I saved half and enjoyed the leftovers the next day...such a treat. They brought the birthday boy a glass of champagne with a lit candle attached to stem....was amazing!!!! Our waitress was so helpful, kind and polite. Another successful birthday at Arthur J’s. The food was pretty good, and we were given free bread on the house. The steaks were cooked to the correct temperature. However, they were a little on the salty side. Have many friends in MB who LIKE the food and $$ no object but for us mere mortals stay away and for those of you locals or out of towners same should apply to you....lived in MB for 40 years and welcomed a new steak house but $200 for a steak that maybe gets a 6/10 and chicken that deserved no more than a four is abominable! The Arthur J’s steak (especially their fillet)is without question the best i have ever tasted. Prepared to perfection. The service is very good. The wine is excellent. It is just an incredible meal. Their dining area could use more booths, and the place is a bit small, but you will forget about all that the second you bite into that steak. 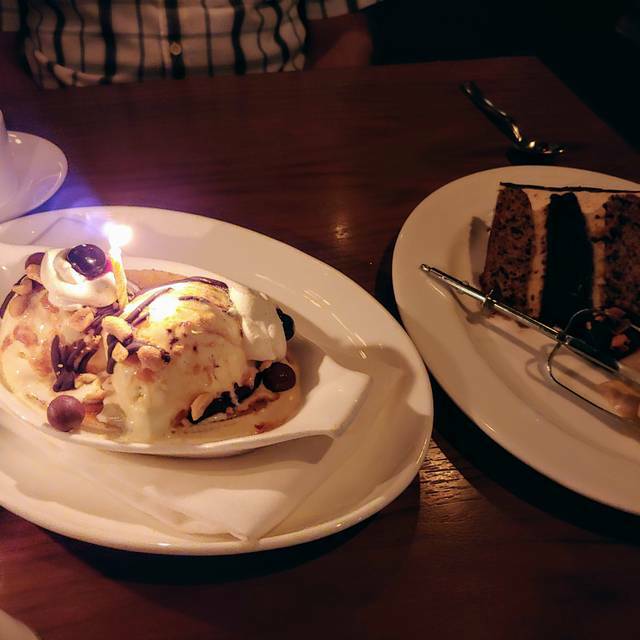 Given that we had a "special deal", we were treated very well....attentive, friendly service; great selection of food; generous portions and well prepared; a lovely dining experience tho' it does get noisy.. Friend in from the East Coast and they loved it. Filet and scallops were fantastic. Everything about the restaurant felt so special and unique from the mid-century decor down to the lighting and music... The food was beyond excellent and our server (Stephanie) was very knowledgable about the menu details and wine selections!! I would give The Arthur J my highest rating. Music in the dinning room was way too LOUD!!!!!!!!!!!!!!!!!!!!! We booked a reservation via OpenTable, but it took over an hour to be seated. The management did apologize several times (and made it up to us) as people just didn't want to leave their table. It's a popular spot on a Saturday night - so we can see why. 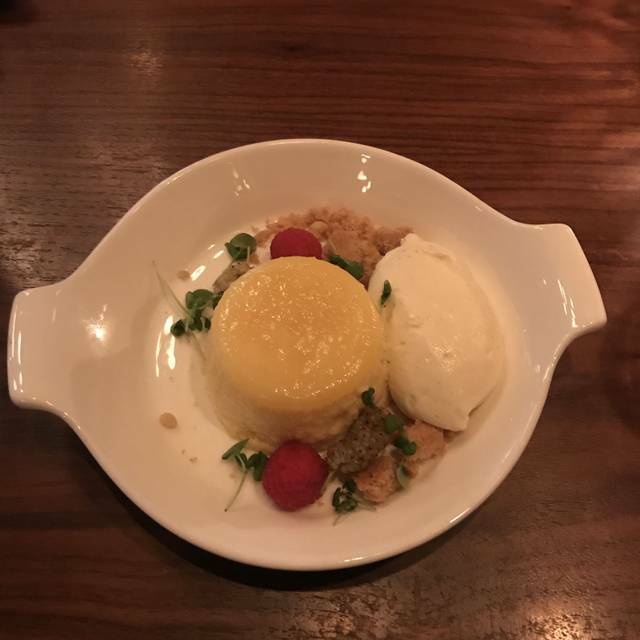 The food - everything we tried was delicious, the staff knew the menu well and offered great suggestions. It's not a super quiet place - but the ambiance is low lighting, so it is a romantic setting. There is a bar with 10-12 seats and they were all taken (some having drinks, some dining). The place is known for meat, but there are seafood options. We opted for the scallops to start - petit filet with different sauces - and I added some crab as a topping to my fliet which was delicious. Wine list looked good but we were celebrating so we did a bottle of bubbly. For a nice, classy night out - you can't go wrong with this place. Service is top shelf. Food is great...but a little heavy handed on the pepper and garlic in some dishes. The Arthur J has been my go to for years. 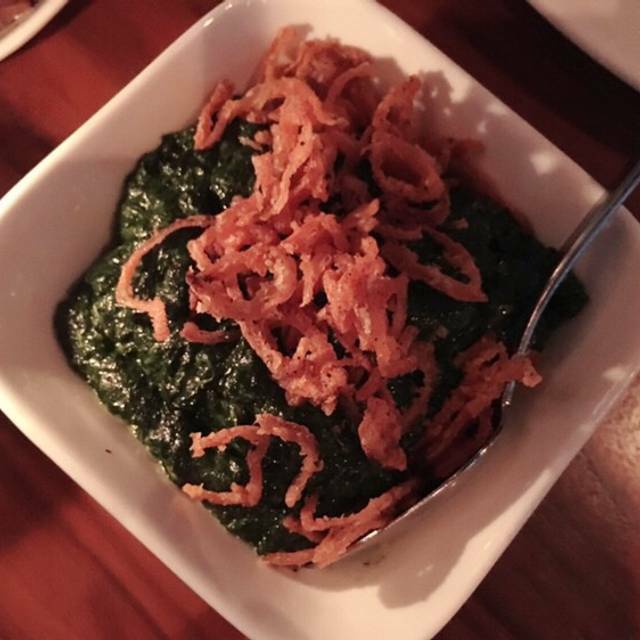 Service is top notch and the food is consistently the best in the West Bay Area. Ambiance is SoCal & cool. Some of the best steak I’ve ever had. I will continue to be a loyal customer. Although the steak was cook to the right temperature, it was extremely salty and tasted like starter fluid. Amazing food, people and ambiance! Great music selection too! Delightful surprise. Great restaurant & highly recommend ARTHUR J. General manager, Patric is terrific and was very helpful with wine selection. Treat yourself to a delicious and special meal. Loved it! Great Food! Great Service! Great Vibe! Totally recommend Arthur and Manhattan Beach is always fun to go to for any occasion! The service was amazing. We had a great waiter and all the staff works in unison to ensure that you have a great experience. My wife’s Prime Rib came with a sea of sauce under the Prime Rib. Level of sauce under the meat. Don’t ruin my meat was my request leave it naked. I could not taste the amazing Wine after a few bites of the steak. I was looking forward to coming here for a long time. Finally made it happen and was very dissatisfying. I took business friends from Chicago to make it worse. The service was a bit pushy trying to up sell everything. They had someone training dump a whole glass of water on my clients lap (not exaggerating, needed 6 napkins). They tried to apologize by giving us deserts. They spilled some of the wine too (not much) and didn’t provide more. The steaks were impossible to cut. We splurged for the shareable ribeye dry aged 28 day special too. Crab legs were good( same owner as F&D). Overall couldn’t have been less satisfied. Didn’t want to make a big deal in front of clients but was legit embarrassed it went so horrible. Spectacular Service and Food...everything was world class. 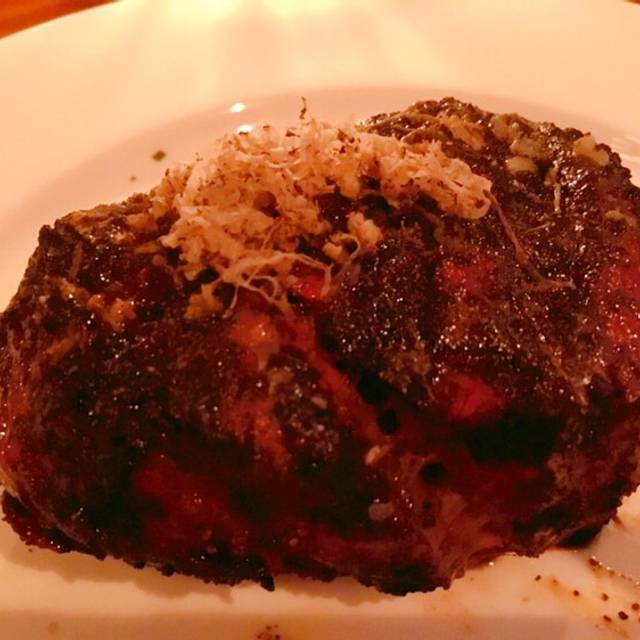 The black truffle butter and in-house steak sauces were amazing. We had the steak sampler, but were disappointed by the wagyu. The music was set up incorrectly so we had to listen to the bass throbbing throughout our entire meal. The waitresses were far too chipper and cheery for my taste. They forgot to bring out the birthday cake for the birthday girl until asked. 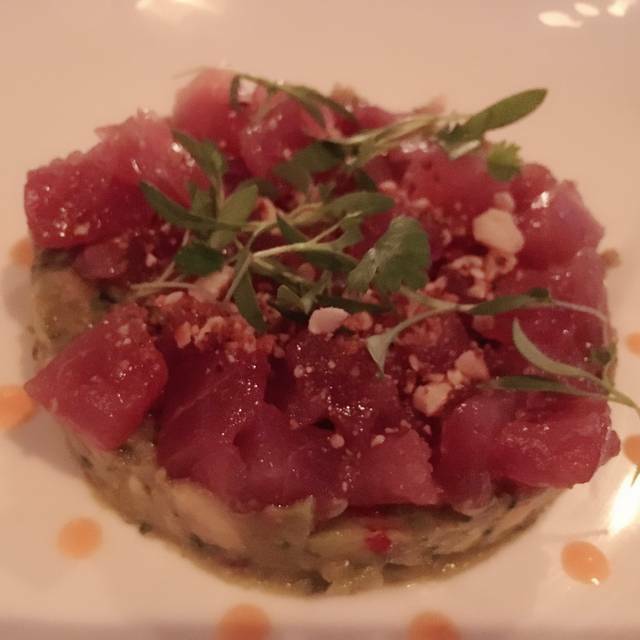 When you want a truly exceptional meal - head to Arthur J's! The steaks are cooked to perfection, and you can smell the wood fired grill in the background. The pop overs are so delicious they rival the Popovers in NYC! -you must order them! And the seared scallops are some of the best I have ever eaten. They have a huge tomahawk steak you can share which is so impressive. I can not say enough about Arthur J's. Our kids (26 and 23) were so jealous when they found out we were going there without them... Oh well,, next time! Another outstanding meal at Arthur J's!!! Always have a wonderful experience here. Excellent food as well. We had an excellent dinner, both our filets were cooked perfectly. Patrick the manager/host greeted us like he remembered us from previous visits and our waiter, Marcus, could not have been more attentive or more fun. All in all a perfect evening. Awesome food, awesome service, just too loud. I’ll be back though! 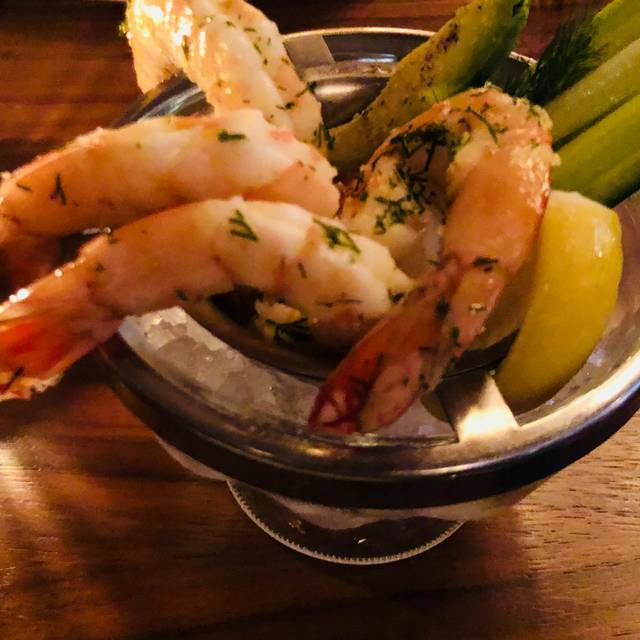 I would absolutely recommend The Arthur J to anyone who is interested in a special occasion meal, OR, anyone who is looking for an elegant alternative for a fun happy hour. 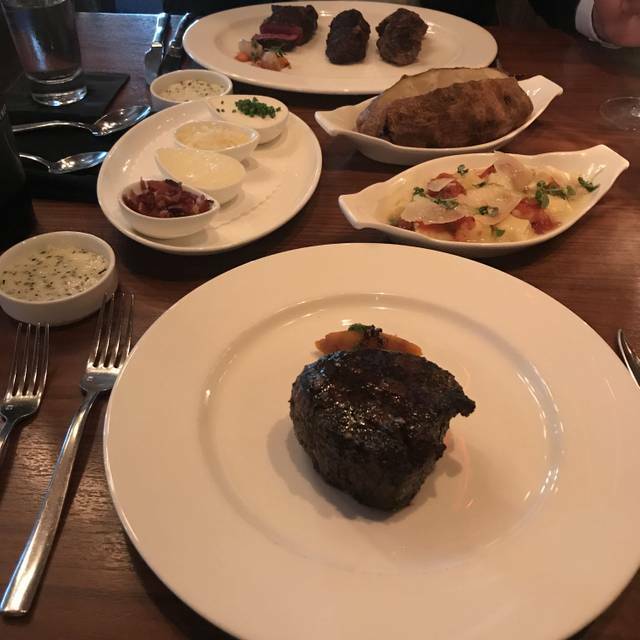 The martini I had was fantastic, and my steak was one of the best steaks I have ever had (including having dined a few times at Prime). The sides were delicious, and the manager (Patrick) was attentive and polite when interacting with our table. Truly an enjoyable and delicious meal. 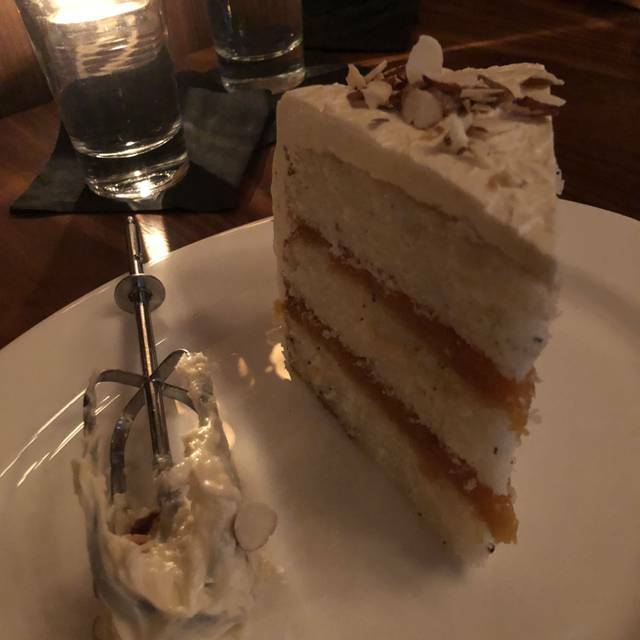 My boyfriend and I celebrated my current promotion here and our server just took care of us. From start to finish, it was impeccable and really a place him and I can come back and celebrate life and love. Michael our server was warm and engaging- the whole staff were attentive without hovering. And the food was out of this world- the bone marrow toast!